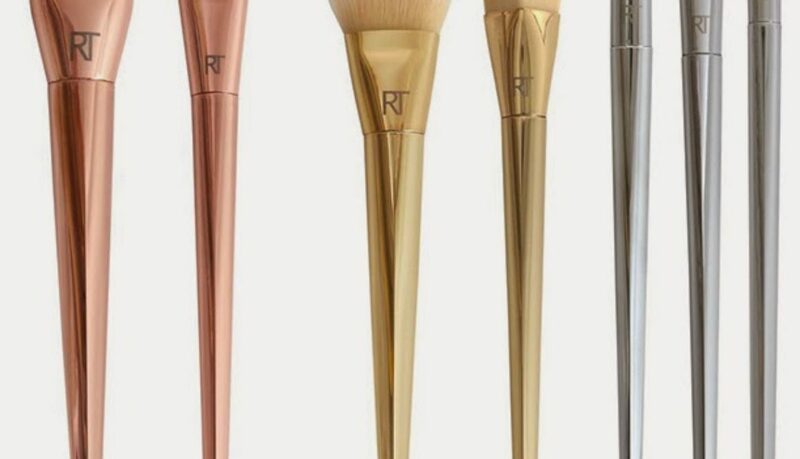 I’ve been a fan of Real Techniques brushes since they first launched, and they have continued to create great brushes at an affordable price point. 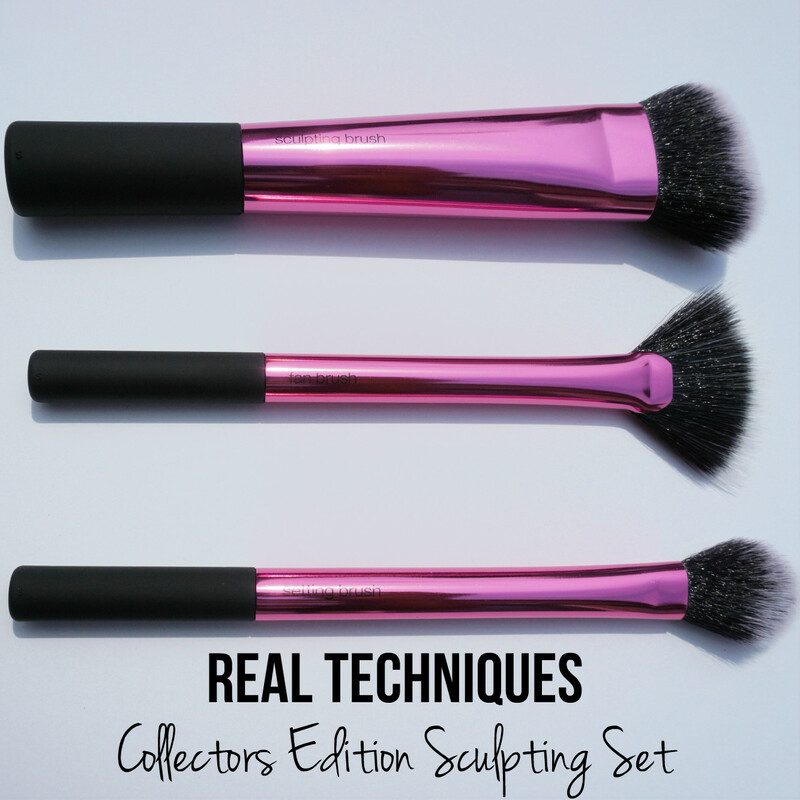 One of Real Technique’s latest releases is their “Collectors Edition Sculpting Set” which features 3 metallic finished brushes to help you get the perfectly contoured and highlighted look. 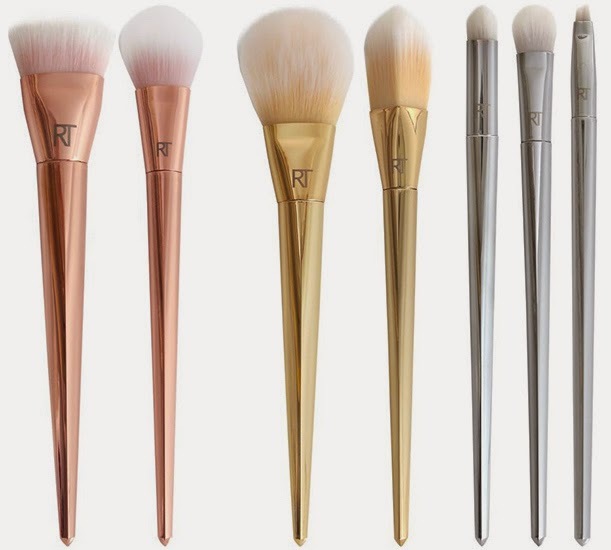 As with all of my other Real Techniques brushes they’re super soft and well crafted. They really feel more expensive than they are. Sculpting Brush: I’m not going to lie I was intimidated by this brush before I used it. The angled bristles are densely packed and I thought it would pick up and apply way too much product for my contour. 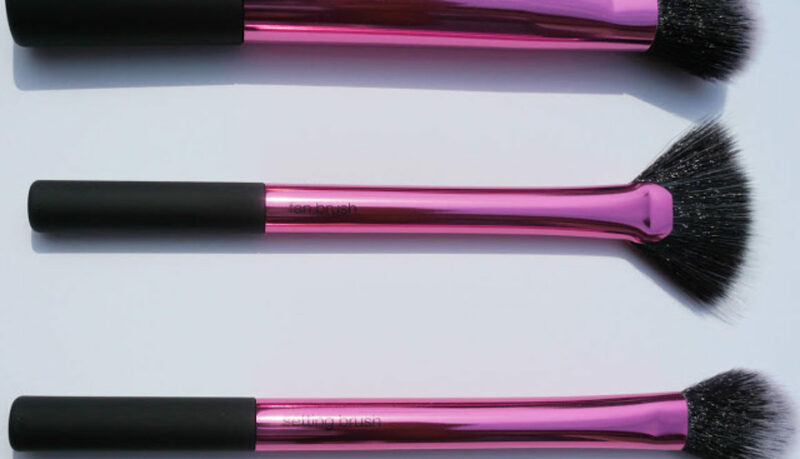 This brush actually applied my contour powder like a dream in just two swipes! 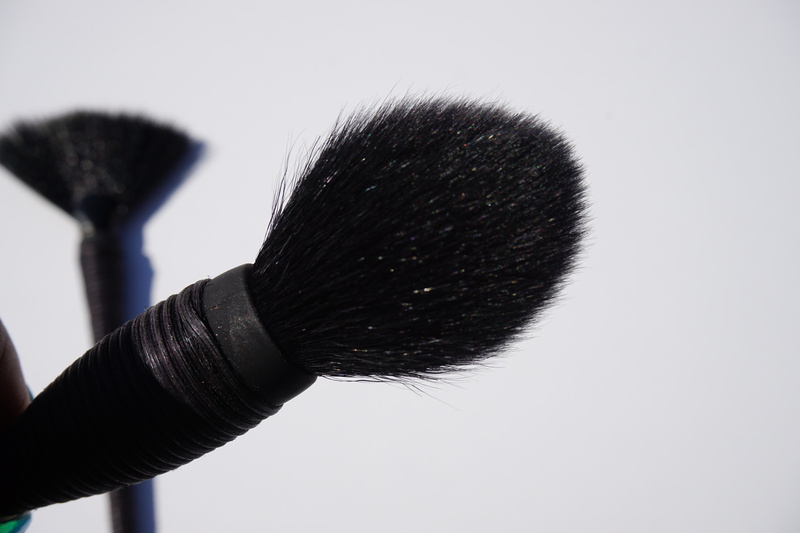 It was shocked at how easy it was to apply and blend with just one brush. 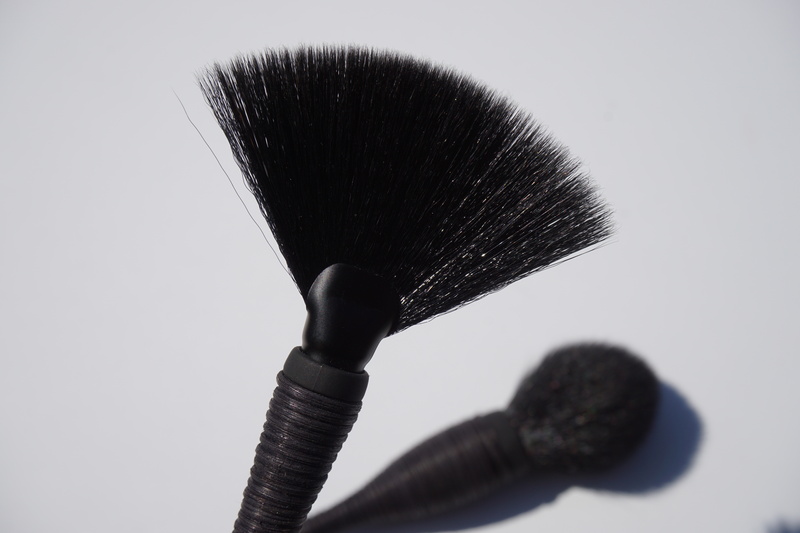 Fan Brush: I’ve never found a fan brush that I really liked to use before, but I think this may be the one. I’ve been using it to apply my illuminators and I’ve found that its stiff enough to give a good even application but it’s not scratchy. 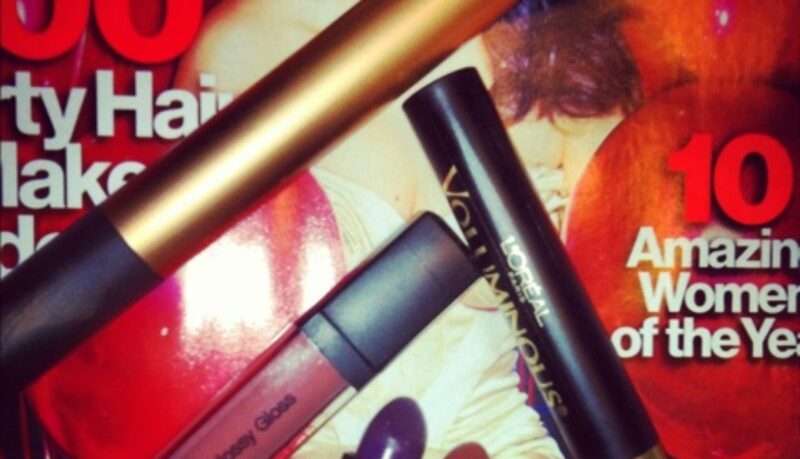 It also doesn’t make the product go on streaky or blotchy like some fan brushes I’ve used. 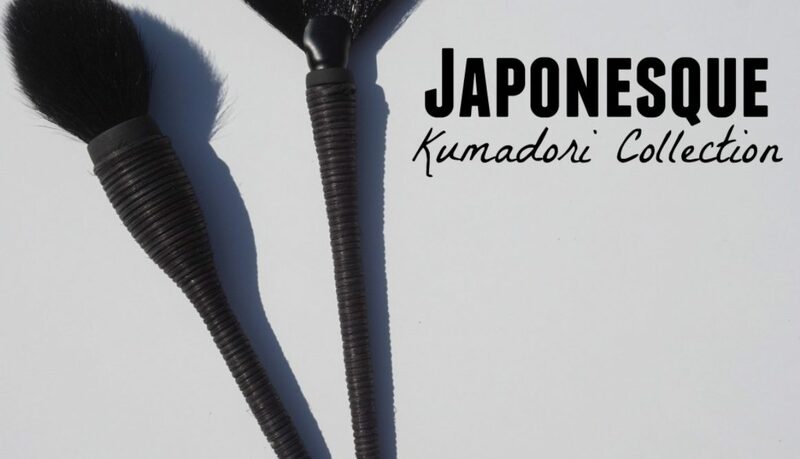 This brush is exclusive to this set, so you’ve got to get your hands on it! Setting Brush: I actually already owned this brush but I love it so much that I was glad I could get a back up in this set. 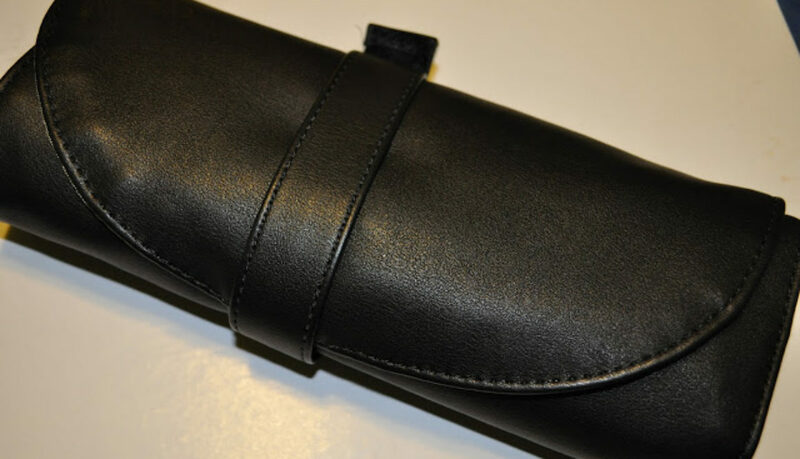 It’s perfect for setting highlighted areas with a powder. I’ve also used it to apply my illuminators because it’s small and has a slightly pointed tip so you can be really precise when adding glow. 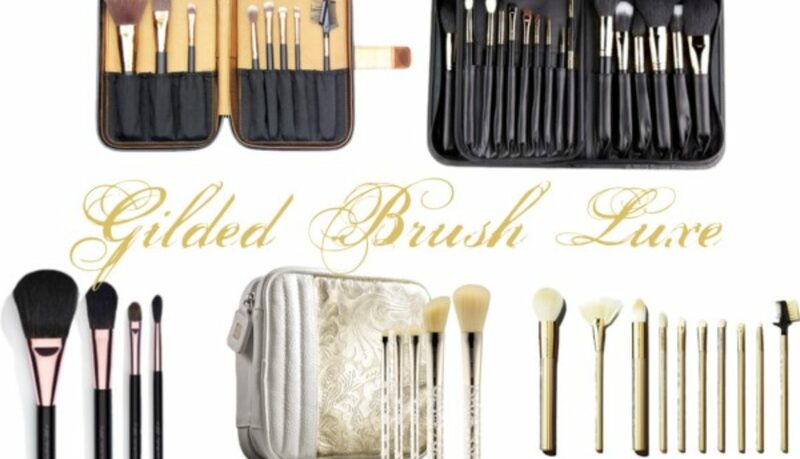 I think this brush set is excellent and even better for the price. 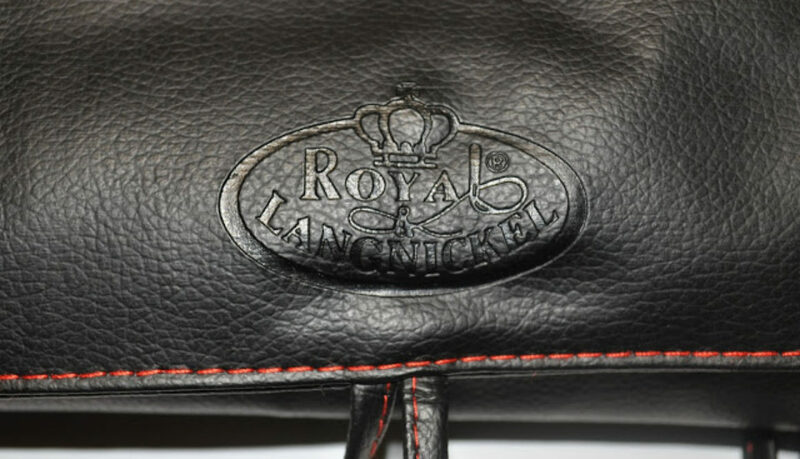 I’m not sure if it’s a “limited edition” or just a “collectors edition” (whatever that means) so I would buy it as soon as possible because it may disappear… or enter to win your very own below! 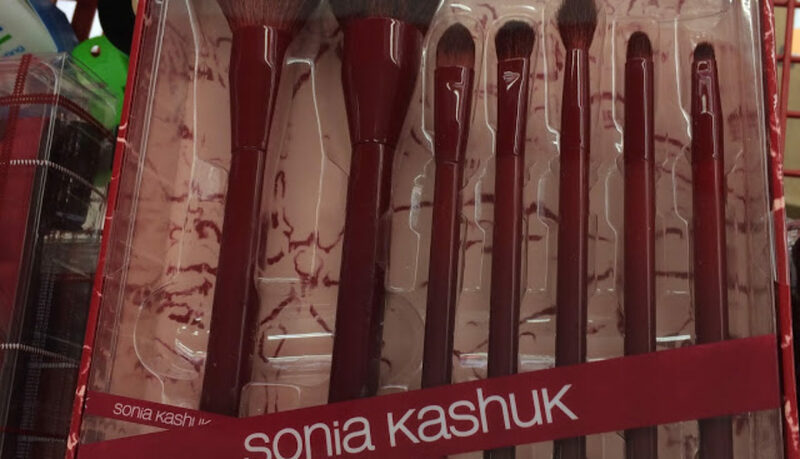 Just wanted to share a little sneak peek of Sonia Kashuk’s next brush set, get Fall collection I believe, that I spotted at Target. I spotted some other sneak peeks on Sonia Kashuk’s Instagram that have me even more excited for Fall 2015. Are you ready for fall? We are. There’s a gold update coming to our @soniakashuk Kashuk Tools this fall! I don’t have any pricing info because these were in a cart to be stocked & there were no tags on the shelves 😕 but I assume they’ll be typical Sonia Kashuk price range $19.99-$35.99. I’m sure they’ll show up on Target.com soon!